Concentrated liquid fertiliser developed specifically for Ferns and Palms. Tree ferns are growing in popularity, especially in gardens where there is a lot of shade. These slow-growing plants have stunning thick trunks which give gardens a tropical feel and thrive in sheltered, humid and shaded positions with humus-rich, neutral to slightly acid soil. In their natural environment tree ferns gain their nutrients from decaying vegetation that falls from the forest canopy into the crown of the tree fern. Tree Fern and Palm Feed replicates this process to maximise growth, maintain colour and ensure a strong healthy plant. 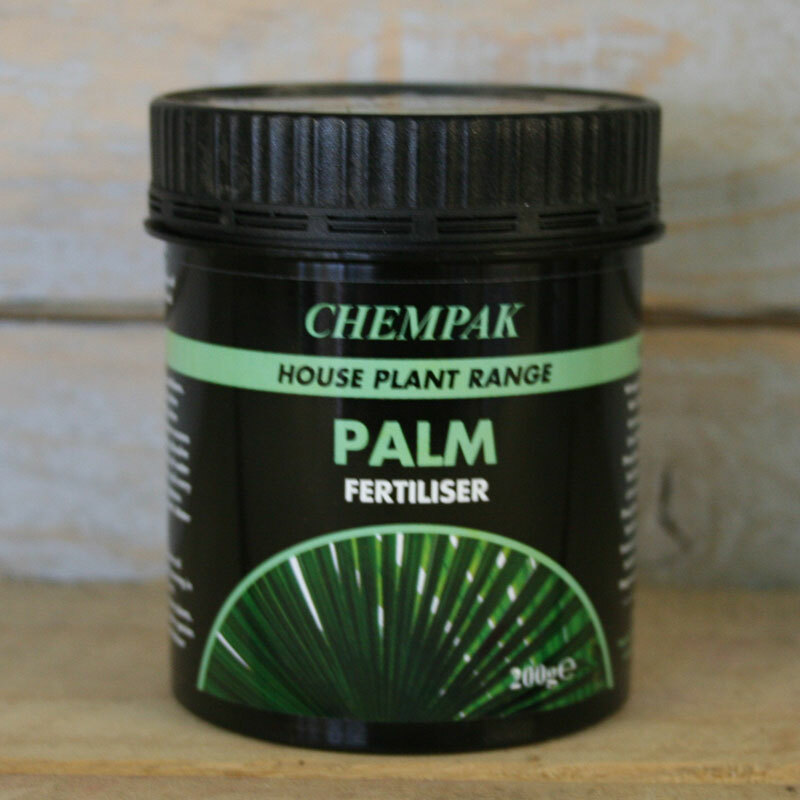 The carefully balanced mixture of the major plant nutrients with added magnesium and trace elements makes Tree Fern and Palm Feed the perfect feed for tree ferns in pots and in the ground, indoor and outdoor palms, bamboos, grasses, and other ferns. As the trunk and crown of tree ferns will not tolerate drying out, water regularly to ensure the trunk remains damp. Spray the trunk with water during hot weather or dry conditions. To encourage rooting, don’t feed the plant during establishment. After the first year apply a liquid feed to the crown and trunk every seven to 10 days during the growing season from mid-spring to mid-summer. 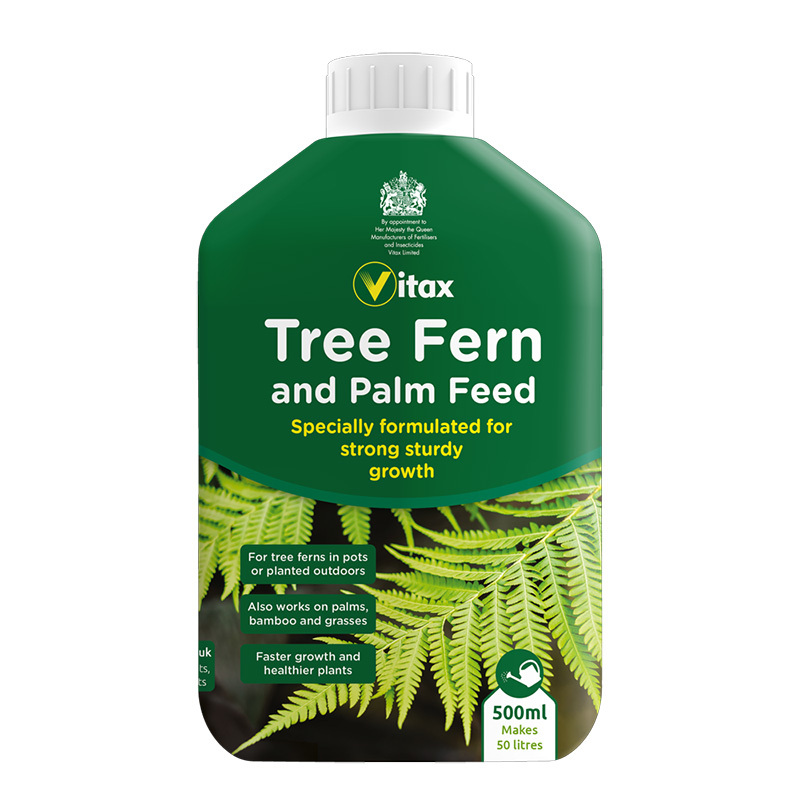 If you would like further information about Vitax Tree Fern and Palm Feed, please contact our garden centre at Shawbury just outside Shrewsbury in Shropshire, by calling 01939 251315 or emailing.